ALBANY – Signaling that its dispute with New York State is not over, the Seneca Nation Friday said this week’s arbitration decision ordering the tribe to pay $266 million to the state violates federal law. Seneca President Rickey Armstrong Sr. said the arbitration panel’s two members who ruled against the tribe “effectively amended the agreed-upon terms” of a casino compact between the state and Senecas. “It has done so in complete disregard of federal law that governs the compact and without following the necessary federal procedures for making compact amendments,’’ Armstrong said of the panel's Wednesday’s arbitration decision. Armstrong’s reaction indicates – without directly saying so – that the tribe is in no hurry to adhere to what the state says is a binding order from the arbitration panel. The panel found that the Senecas were wrong to withhold casino revenue-sharing payments dating back to Jan. 1, 2017. The Cuomo administration believes the Senecas must, per the arbitration decision released Wednesday evening, immediately pay the $266 million. Under terms of the original compact signed in 2002, the tribe agreed to pay the state 25 percent of its net slot machine revenues from its casinos in Buffalo, Niagara Falls and Salamanca. 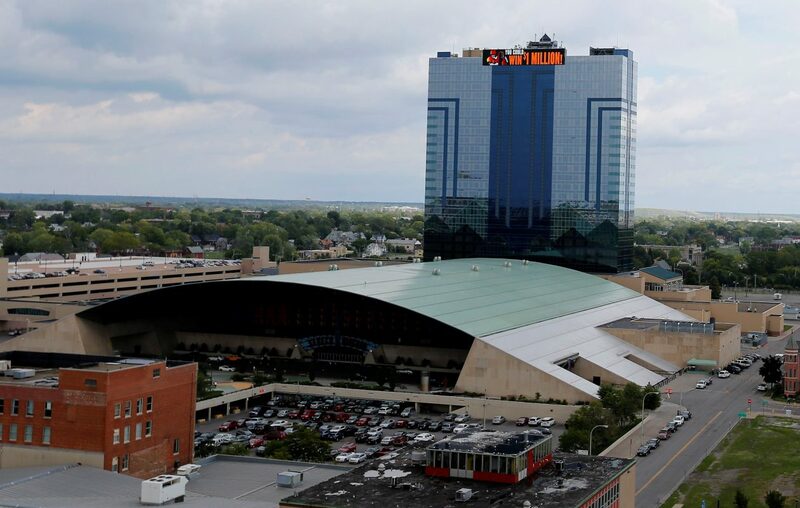 In return, the state granted exclusivity to the tribe's three Las Vegas-style casinos in a sprawling area of Western New York. But the Seneca Nation maintains the compact’s language is silent on that revenue sharing provision after the compact’s 14th year. So, it halted payments to Albany beginning with slot proceeds that the state says were due in the beginning of 2017. The arbitration panel, while acknowledging some murkiness in the language of the compact, said the tribe was wrong to withhold the state's payments because the overall terms of the compact – including revenue sharing by the tribe and the exclusivity terms agreed to by the state – all carried on past the compact's 14th year. The $266 million in back payments covers the period through 2018. The tribe, the arbitration panel said, still owes this year’s first quarter – the amount of which has not yet been determined. It must also resume quarterly payments to the state, which, in turn, shares one-quarter with local governments in the area. Arbitration members siding with the state this week were a New York City lawyer tapped for the panel by Gov. Andrew M. Cuomo and a professional arbitrator who was jointly selected by the state and the Seneca nation. A third arbitration member, who was selected by the Senecas to serve on the panel, did not sign off on the order. “Simply put, the compact is rooted in federal law and amending the compact requires that proper procedures be followed. A majority of the panel members ignored both of these critical issues,’’ Armstrong said. One path might be to federal court. But that is a route, according to the compact, only open to the state if the Senecas decline to follow the arbitration panel’s ruling. Any such court action would have to occur in federal court in Buffalo. Earlier this week, in a meeting with reporters and editors at The Buffalo News, Cuomo seemed to acknowledge the arbitration panel’s decision might not end the dispute. “They had said they would honor the arbitration decision, and they signed a contract saying they would honor the arbitration decision. What does that mean? Apparently not much,’’ Cuomo said. The Cuomo administration on Friday did not comment. In the recently approved 2019 state budget, there is no line item noting that the state planned on receiving the Seneca’s back payments or future payments. However, officials said they expect such a notation to be made on the state’s official financial plan for 2019, which will be released in four weeks. They have not said how much money from the Senecas would be included in that document.